Researchers have found that cheese can now be considered a superfood – as long as it’s Swiss cheese. The bacterium Propionibacterium freudenreichii, which is used in the fermentation of Emmentaler – the proper name of Swiss cheese, because it came from the Emmental region of Switzerland – is found to be beneficial to health. In a study that was conducted by scientists at Korea University in Seoul that was published in Scientific Reports, it was found out that the bacteria can provide longevity and improve the lifespan of, wait for it, roundworms. The team said the bacterium turns lactate – the compound that burns muscles – into three substances: acetate, carbon dioxide, and propionate. Acetate and propionate are known to benefit humans’ immune systems. Also, other lactic bacteria are present in Swiss cheese. These are Weisella koreensis and Weissella cibaria, which extend the lifespan by protecting the body against stress and the invasion of pathogens and providing an anti-inflammatory effect on the immune system. To make the deal even sweeter, an earlier report found that indulging on aged cheeses such as cheddar, brie, and Parmesan can also improve the longevity of one’s life –increasing life expectancy by over 25 percent – while preventing liver cancer. Another study that was done in March of this year showed that people who partake of cheeses are slimmer than those who do not, with people who partake of low-fat dairy having higher cholesterol levels than people who are just dairy fans. Ingesting cheese can apparently also protect you from heart ailments. According to CultureCheeseMag.com, the flavor of the Swiss cheese can be determined by how big its holes are: the bigger the hole, the better the flavor. Another reason why Swiss cheese has holes is the presence of Propionibacter shermani, which are added to the milk that is used to manufacture cheese at the time of cheese-making. The bacteria take away the cheese’s lactic acid and release bubbles of carbon dioxide gas which then form into holes. Cheesemakers can make the Swiss cheese’s holes bigger or smaller as they prefer by changing the temperature to which theybring the milk, the milk’s acidity, and the wheel’s aging time. American-produced Swiss cheeses tend to have smaller air pockets, making their flavor more mild and creamy. European-made Swiss cheeses, on the other hand, have a rich and nutty flavor. Scientists made another remarkable discovery; this time regarding all kinds of cheeses. 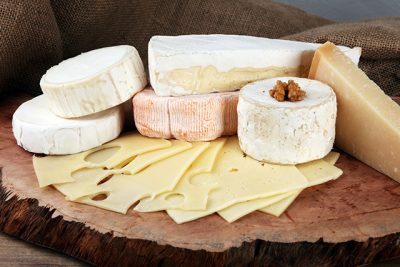 They found out that cheeses contain the chemical compound D-methionine, which can prevent and even heal damage to nerves in the ear, with research saying that the chemical can reverse hearing loss if administered within seven hours of exposure to loud noise. No commercial drugs that are manufactured presently can replicate the same effect.